Muskeget Channel off Wasque is favored site for tidal energy project. Plans to develop a permanent tidal energy test site in the Cape Cod Canal may bode well for a long-stalled effort to bring tidal energy to Muskeget Channel off Chappaquiddick. The site in Bourne would be the first of its kind in the nation, and could lower the cost of testing and permitting for emerging tidal energy technologies. The nonprofit Marine Renewable Energy Collaborative (MRECo), which is overseeing the project, hopes to complete it by the end of the year. With funding from the state Seaport Economic Council, set up by Gov. Charlie Baker last year, the test center is aimed partly at increasing business around Buzzards Bay. Projects will benefit from the fast tides (up to seven knots) and relatively low turbulence in the canal. The site is also close enough to shore for projects to be installed with a crane. “We hope [the] turbine technology tested here will be scaled up for Edgartown’s tidal project in Muskeget Channel,” MRECo executive John Miller said when the funding was announced in March. MRECo has been working with Edgartown for almost a decade to develop a pilot project that could harvest the tides in Muskeget Channel, which runs roughly northeast to southwest and comes within two miles off Wasque Point. It was one of more than 70 projects around the country that received a preliminary permit from the Federal Energy Regulatory Commission (FERC) for wave and tidal energy. But without the technology in place, many companies have since given up on those plans. Edgartown received its permit in 2007, retaining the rights to Muskeget Channel, and the permit was later extended. 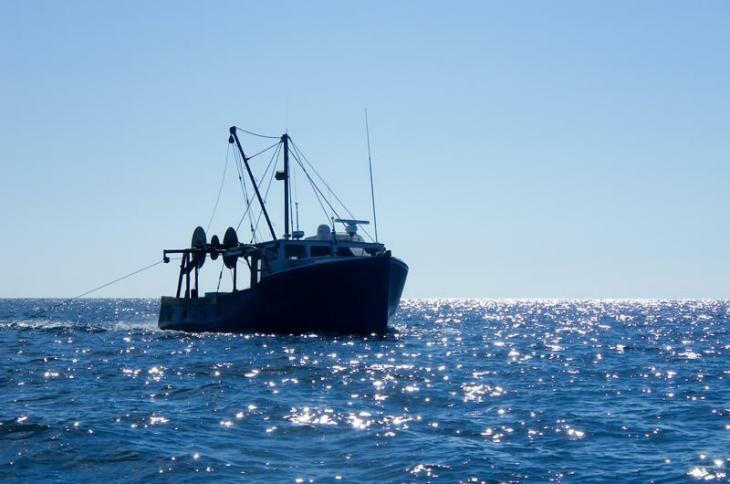 MRECo executive director John Miller said this week that the town is still in the process of applying for a license to run the pilot program, but has yet to obtain the remaining $300,000 necessary for studies related to fisheries and archaeological resources in the channel. The pilot license would allow for the installation of up to five megawatts of power over five years, but Mr. Miller believed the channel could eventually produce up to 20 megawatts, enough to provide about 20 per cent of Edgartown’s energy needs. Partners so far include Barrett Consulting, the University of Massachusetts (for fisheries work) and the town of Edgartown. MRECo has yet to choose a company to conduct the archaeological survey, which would carry a hefty price tag since the work would take place underwater. Despite the permitting challenges, he said tidal power is generally less complex and cheaper to install than offshore wind turbines, such as the two planned for the waters south of the Vineyard. Not having to penetrate the surface lowers the overall cost, he said, but the fast-moving tides limit work periods to between 30 minutes and an hour at a time. He added that tidal power is more reliable than wind, with a predictability of 100 years into the future — and unlike wind turbines are out of sight at the bottom of the ocean. Edgartown itself would hold the permit, meaning that any developer would need to negotiate directly with the town on the terms of the project, and to guarantee certain benefits to the community. One of the wind farms south of the Vineyard will feature a similar agreement between developer OffshoreMW and Vineyard Power, the Island energy cooperative. Already MERCo has raised more than $2 million in state and federal funds for the tidal energy project in the channel, but without the remaining $300,000, the project is unlikely to move forward. Mr. Miller said the only available funding source at the moment would be the Massachusetts Clean Energy Center, which supports renewable energy efforts in the state and provided some of the earlier funding for the project. Meanwhile, the project may still provide some regional benefits as a vehicle for sociological study. David Bidwell, assistant professor of marine affairs at the University of Rhode Island, has received funding for several focus groups on the Island to better understand the local concerns surrounding the Muskeget Channel proposal. “I think there is a growing recognition that moving to different kinds of energy sources has as much to do with public and social acceptance . . . as it does to the availability of technology,” Mr. Bidwell said, adding that in the end, public opinion often has the final say in whether a project moves forward. Mr. Bidwell met with the board of the Martha’s Vineyard Fishermen’s Preservation Trust a few weeks ago to discuss the tidal energy project, and hopes to hold additional sessions with small groups on the Island in July. He planned to share the results with Mr. Miller and others involved in the project. Preservation trust president John Keene said this week that concerns at the earlier meeting related largely to noise and the effect on offshore fisheries, along with the movement of sand and the durability of cables to the Island. But the conversation left most of those questions unanswered. “We expressed some doubt but some optimism, too,” Mr. Keene said. “[Mr. Bidwell] left with a better idea that it’s not going to be very easy — and that’s pretty much it.” He added that the wind farm projects (including one by the Danish company Dong Energy) have been hotter topics at the trust meetings, since they are more likely to happen. But the trust sees itself less as an ambassador than an advocate for the Island fishing community. People interested in taking part in the URI focus groups this summer may contact Professor David Bidwell at dbidwell@uri.edu or 401-874-5708.